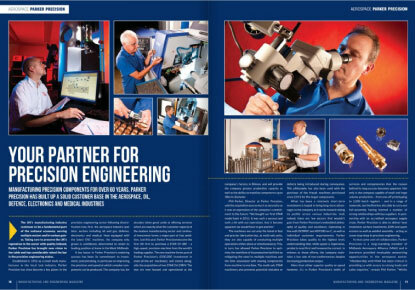 Parker Precision are excited to have a double-spread feature in the 428 issue of Manufacturing and Engineering Magazine. The article focuses on latest investments Parker Precision made as well as their decades-long commitment to improving their precision and efficiency of work. To read the full article published in the Manufacturing and Engineering Magazine, please click here.